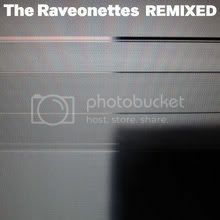 Assuming that everybody loves the Danish rock duo, the Raveonettes, (but you must, how could you not…), then I'm pretty sure some of you are psyched to hear that the duo is releasing a series of four digital EPs. Hooray! The first of the four is already attainable; you can get it by clicking at the link below. This first EP feature 3 noteworthy remixes that you most definitely want to check out. Follow-up EP, Sometimes They Drop By, will drop on the 23rd of September, with another one to be unleashed on October 21 called Beauty Dies-- that’s said to contain some jazz touches. Ending the series is a Christmas EP, set to meet fans on November 25.